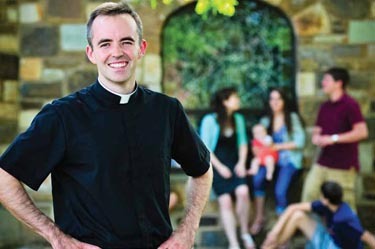 Everybody knows St. Charles Borromeo Seminary (which is technically in Wynnewood, not Overbrook) provides formation for Philadelphia’s future priests. Right now there are 50 men studying for Philadelphia at St. Charles, but there are 85 others studying for eight other dioceses and two religious congregations. “The heart of our program is the formation of priests,” said Bishop Timothy C. Senior, the seminary rector. But although the heart is often considered the principle organ in the body, the seminary has other programs too, most especially the formation of permanent deacons and the pastoral formation of lay and religious through advanced degree programs. Which bring us to the ongoing annual St. Charles Seminary Appeal. If St. Charles is to continue its vital role in the life of the Archdiocese, fundraising is a constant. So far this year it has been encouraging, but there is a long way to go. The appeal officially runs through December, but gifts are accepted through June. “So far we’ve received 16,000 gifts, that’s about 4,000 more than last year at this point, and we’ve raised $1,131,000 which is about $225, 000 more than this point last year,” estimated Dan Dougherty, director of appeals for the Archdiocese. That may sound like a good sum, but think of St. Charles as a small university, with tuition and costs rising as high as $38,100 a year in the seminary division alone. In order to promote the drive, an appeal letter has been sent to every Catholic home and seminarians have spoken at every parish. One excellent innovation this year is a slightly over five-minute video available on the appeal’s website through which Archbishop Chaput, Bishop Senior, a seminarian, a recently ordained permanent deacon and a lay graduate of the master’s degree program in theology make the case for the importance of St. Charles Seminary. Jason Buck, who is in his third year of theology, and very close to his goal of ordination, speaks from the point of view of a seminarian. As a young boy he felt called to the priesthood, but the idea faded in his high school and college years. After college he obtained a good job, was dating and contemplating marriage. Bill Bradley, who is the director of the archdiocesan Office for Black Catholics and a candidate for the permanent diaconate, said, “I have been at St. Charles for the past four years. I see it as a continuation of my faith journey. What I have experienced since I’ve been at St. Charles Seminary is that now I tend to have a more pastoral approach to things that happen in everyday life; to look at people and see the face of Christ. That is really what we are being trained to do. “It is important to support the seminary, just as important as it is to support your parish,” he said. Marie Joseph, who attended the St. Charles Graduate School of Theology, works primarily with women who have unplanned pregnancies, providing alternatives to abortion. As they say, a picture (or video?) is better than a thousand words. Take a few minutes to check www.stcharlesseminaryappeal.org . Lou Baldwin is a freelance writer and a member of St. Leo Parish in Philadelphia. 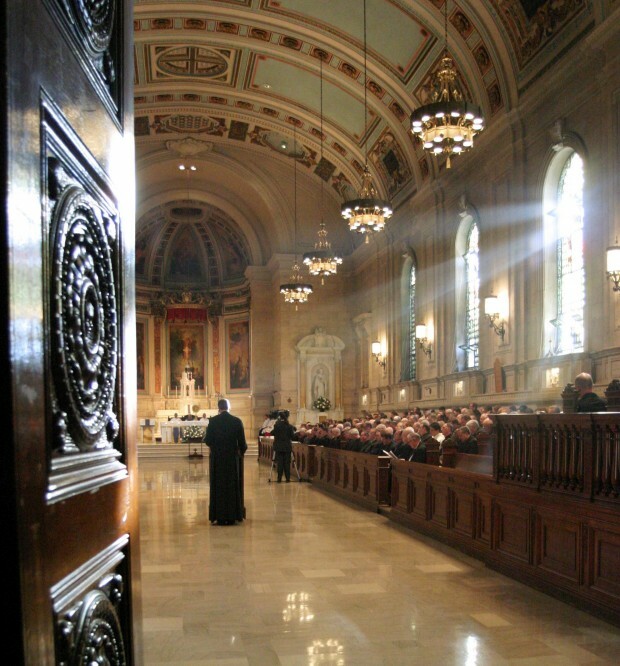 Pray and sacrifice for Vocations to the Priesthood in the Archdiocese of Philadelphia. Each person God is calling needs the extra help of grace in order to give up everything to say “YES” to God and to His Church. God bless and protect Saint Charles Seminary! In the third line above, it should have read “…3 new priests each year. We need at least 15 new priests…”. That’s 50 men for Philadelphia spread out over 4 undergraduate years and 4 graduate years which equates to an average of 6.25 students in each class. Given a 50% dropout rate for seminarians, this equates to only 3 new seminarians each year. We need at least 15 new seminarians each year just to counter the expected number of priests who retire each year. This is the core of the problem faced by the Archdiocese of Philadelphia and virtually all other dioceses across the Country.